A Durham fishing business is reeling in additional sales after benefiting from a free training scheme that’s designed to boost business performance for North East companies. The Durham Fly Fishing Company has landed an estimated 20 per cent increase in bookings for its specialist courses after proprietor Stuart Wardle went through the ‘Boost Your Business’ programme, which is led by a group of training agencies known as the North East Enterprise Agency. The programme is part of a £1m package of business support being rolled out to local organisations as part of the regional skills and enterprise programme, Go>Grow. 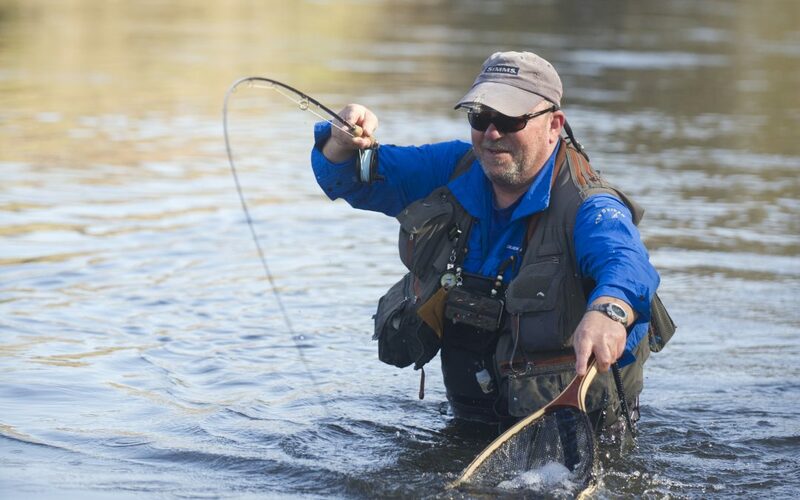 Expert trout fisherman and qualified coach Stuart Wardle, who runs his business from Hutton Henry, provides a range of fly fishing services to individuals, groups and companies. These include guiding, coaching, tuition and team building days. The business improvement skills picked-up on the training course have played a big part in helping Stuart to improve his sales and promotional activities, hooking extra business in the process. Now, after seeing new bookings roll in, he predicts an increase of around 25% in revenues in the next 12 months if demand for his services continues to grow at the current rate. Stuart said the course has given him a new sense of direction and has provided the springboard for ambitious plans to grow and develop his business, including a move into international markets. He said: “Participation in the course has been an invaluable experience definitely helping to move my business forward and secure more work. My diary is the busiest it’s been since I opened for business. “Gaining new skills in enterprise development and digital promotion and sales tools, along with the opportunity to network with other businesses, has been really useful. The three-day ‘Boost Your Business’ course covers a range of topics including understanding social media, producing digital content, measuring the success of digital promotion, as well as enterprise techniques. Adam Clemerson, skills project manager at the North-East Enterprise Agency, said: “Since launching, the course has helped hundreds of people across the region, delivering tailored content to businesses. This is equipping them with the skills they need to develop and grow. Ivan Jepson, director of business development at Gateshead College, which manages the Go>Grow programme, said: “Durham Fly Fishing is a great example of the benefits to be had by start-ups and enterprises who tap into the free training on offer.